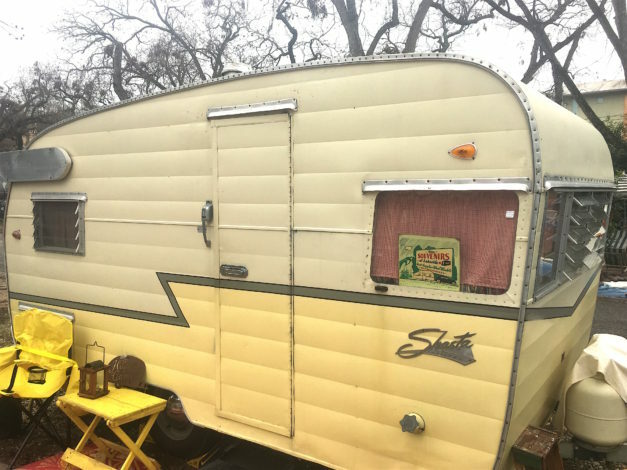 Sometime, in the early 2000’s, we were on one of our first fly fishing trips to Montana and noticed several really cool, vintage looking travel trailers. Seeing these, we started dreaming about how much fun it would be to travel in an RV to fish, especially in one of these amazing tricked-out trailers. 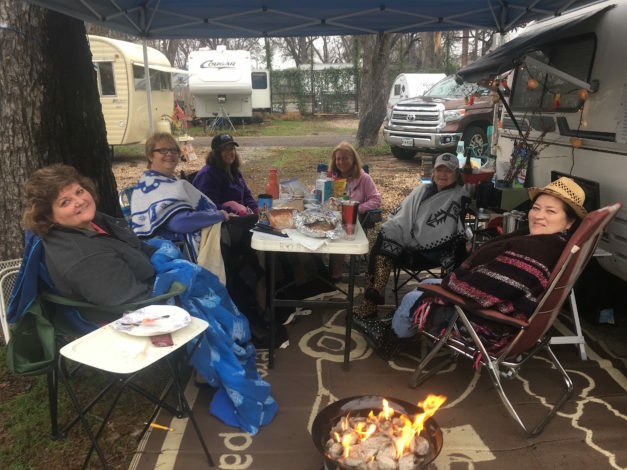 We learned it was a small group of women who’d traveled to Montana to fish together and have fun, traveling in their Shastas, Holidays, Airstreams, Aljos, Roadrunners and more. 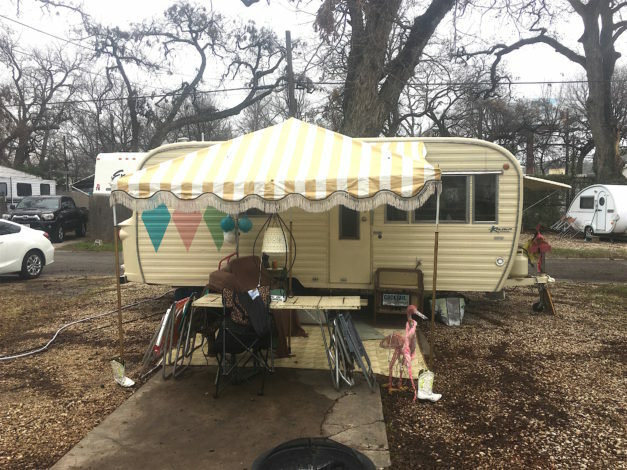 Fast forward to today, we are in the SaraLinda, watching vintage trailer after vintage trailer checking into the Austin RV park where we’re camping. 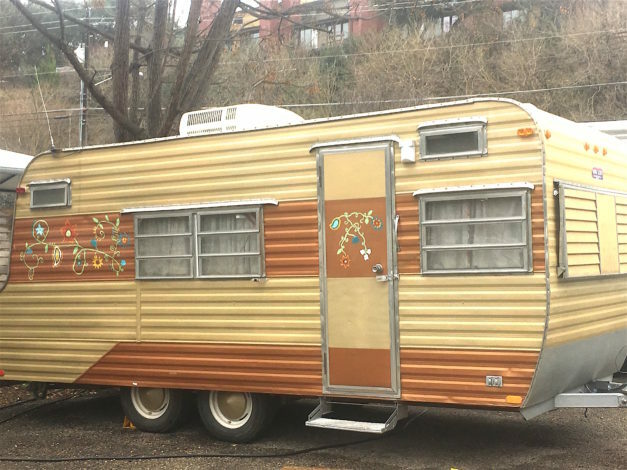 These are the same kind of vintage trailers we saw gathering, years ago in Montana. We noticed that all of the campers in these trailers were women. Little did we know that the two sisters who originally shared a fishing trip in Montana, in their trailers, had spawned a nationwide group of over 7000 members…. “Sisters on the Fly” – and – the women convening here are “Sisters” from this group. We’ve had a chance to meet some of these women, learn more about the organization, and Barb is ready to join up. Even though the weather in Austin this weekend is cool and wet, the campfires are burning and stories are being shared. 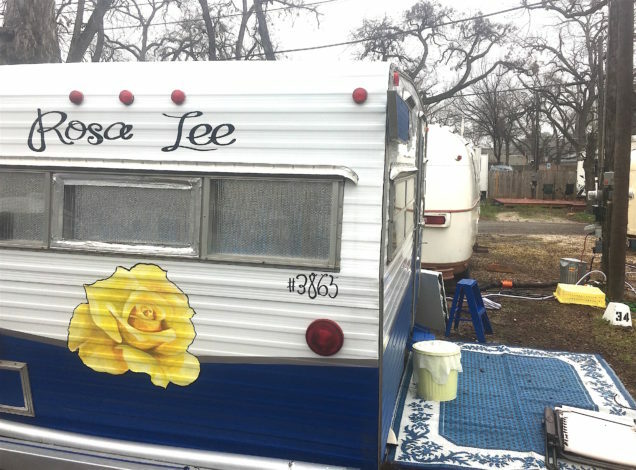 We hope you enjoy this “Gallery” post of a few of the members and their trailers.